Over 600,000 people of all ages have volunteered in NYSTY’s various programs over the last 15 years. A former technology corporate finance professional and venture capitalist, Jeff is a graduate of the University of Michigan and served in the White House Office of Public Liaison for Defense and Foreign Policy under President Reagan. Jeff has received numerous awards and was also a CNN Hero in 2011. Jeff lives in New York City with his wife Sandra Hauser, an attorney at DENTONS, and his two sons Evan and Josh who were the inspiration behind the creation of New York Says Thank You Foundation. During Jeff’s free time you can catch him walking around New York City in shorts, a cowboy hat, and cowboy boots. 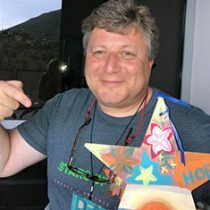 After meeting Jeff at an art conference where Stephanie was presenting on an art response to the Pulse nightclub tragedy, Stephanie was inspired by the mission of Stars of HOPE USA. She attended her first paint with Josh that next month, she began volunteering- In February 2018 she began consulting, and in December 2018 was brought on as Program Manager. 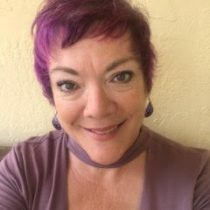 Stephanie has been an artist, expressive arts facilitator and educator for 22 years and is currently an adjunct professor at the University of Tampa and President of the Florida Art Therapy Association. Stephanie is married with one daughter and three fur children and lives in sunny Florida. 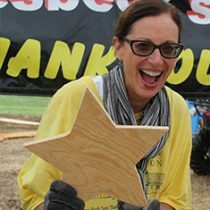 Following retirement from an extensive career in nursing, Carolyn became involved with New York Says Thank You as a volunteer for the Anniversary Build at Little Sioux Scout Ranch in 2009. When Jeff Parness asked her husband, Denny, to oversee flag protocol for the National 9/11 Flag restoration, she offered to help create a procedure for stitching patches made of ready-to-be retired flags to repair the 20’ by 30’ Flag. The goal was to have the Flag completed by the 10th Anniversary of 9/11. After a year of intense planning, coordination of resources, extensive travel and successful execution and completion, she found herself bored with inactivity. Carolyn has served as the Director of Finance and Administration for NYSTY since 2011. Josh joined the Stars of HOPE® program first as a volunteer, demonstrating a tremendous compassion for our mission. He officially joined the team as the Program Manager in 2017 and was promoted to Director of Operations & Programs in early 2018. 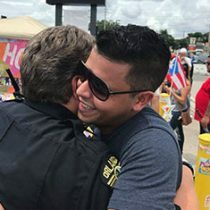 Josh utilizes his previous experience as operations management… but more importantly as a survivor of a human-caused mass gun shooting and recipient of Stars of HOPE. Josh lives in Orlando, FL and is a new father to his daughter Lennon. 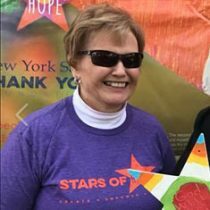 Inspired by the impact of Stars of HOPE in communities across the world, Olivia joined the organization in 2018. 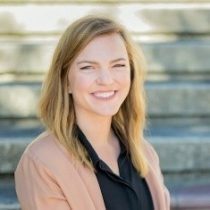 In her role as Communications Manager, Olivia implements marketing, social media and communications strategies to help Stars of HOPE and its mission reach as many people as possible. Olivia currently lives in Tulsa, OK with her husband, Bob, and their fur children, Mason and Mr. Cat. Combining Fran’s love of New York, design, and a deep-rooted personal desire to ‘Pay-It-Forward’, Fran serves as a consultant for marketing and branding. Fran grew up in New York, graduated from Newhouse School of Communications and the College of Visual and Performing Arts at Syracuse University. She continues to take design classes at SVA and has lectured at Syracuse University, Newhouse School, College of VPA and at Johns Hopkins University on advertising and design. 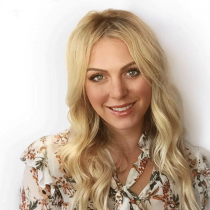 Jessica joined Stars of HOPE after being inspired by the connectivity and resiliency of the human spirit following the Sonoma wildfires. Jessica is an accomplished fundraiser, earning multiple recognitions and awards during her time serving the Cystic Fibrosis Foundation. Jessica lives in Tulsa, OK with her two beautiful daughters and husband Kyle Cermak. Ask Jessica… Breakfast, lunch, or dinner its always a good time to eat nachos!